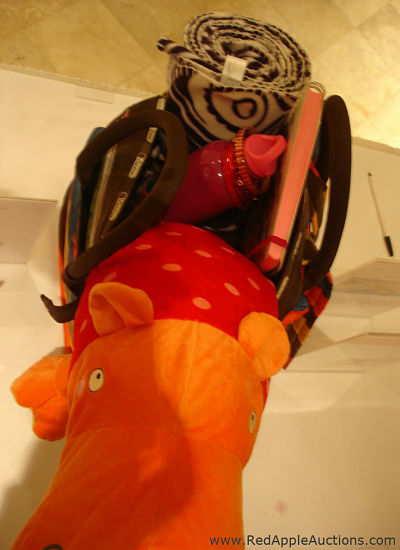 Each time I walked by this plush hippo, I couldn’t resist squishing his nose. And so did everyone else. Wrapping him in a clear bag would have helped to keep the basket contents clean and secure. With regards to silent auction basket ideas, a book could be written about how to make a nice display. Here’s my take on one idea regarding wrapping. 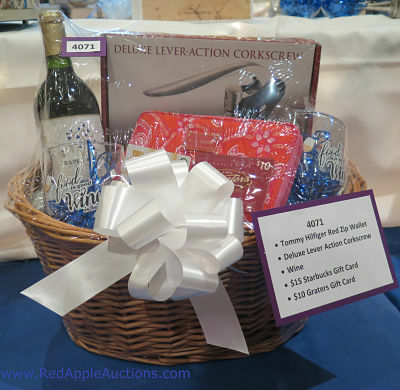 At smaller benefit auctions, you can be a bit loosey-goosey in how you present a silent auction basket. At larger fundraisers, you need to step up your game. Covering your baskets in a clear plastic shrink-wrap or a bag is smart. Here are the advantages of wrapping a silent auction basket in clear plastic or cellophane. 1) Contents don’t fall out. Sometimes items get tipped over. If the basket is wrapped, nothing spills out. 2) Items can’t be swapped between baskets. Whose to stop sneaky Silvia from slyly exchanging the $50 Shell gift card with a $50 Best Buy gift card from a nearby unwrapped basket? Without wrapping, these contents are prone to theft. If your silent auction is in a large hotel where hotel guests — or anyone — can meander through, theft becomes a concern. When a basket isn’t wrapped, it’s easy to swipe a small item and pocket it. It’s much harder to walk out with an entire auction basket. 4) The contents can be “frozen” into place so they don’t move. Securely positioning the items has two advantages. First, the items are more stable. They don’t move easily. Breakable items become less so. Second, you can make the auction basket look more attractive. Display it in such a way that it appears there is more stuff in the container than there really is. This is the same concept professional photographers use when they shoot the contents of, say, a fruit basket or popcorn bucket. The container is filled with filler, and the good stuff — the stuff you are interested in buying — is bursting from the top. Shrinkwrap secured, the contents of this basket aren’t going anywhere. 5) Wrapping will keep the contents clean. 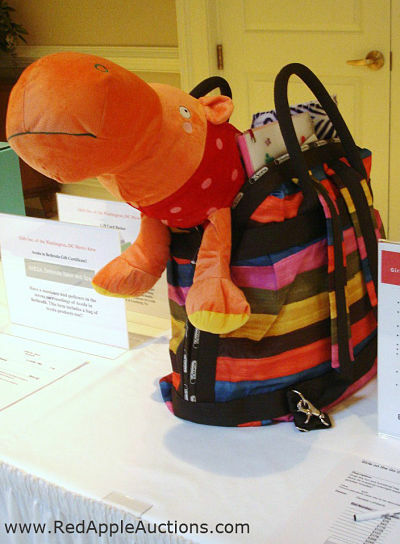 6) Makes the silent auction basket more portable for pick-up and carry-out. In the rush of pick-up, you’ll appreciate the “grab-and-go” convenience of a shrink-wrapped auction item. Incidentally, shrink-wrapping an auction basket or putting them into cellophane bags is an activity often reserved for the decor committee overseeing the silent auction. Silent auctions have many “moving parts” and creating great baskets is but one portion. For other helpful tips that have helped my clients improve their returns, here are two suggestions. To help with procurement, download my Auction Item Guide™. It reveals the top 100 items that sold for over value in auctions the previous year. It’s especially helpful during brainstorming activities with your committee. Peruse this blog for ideas. Not only will you find other silent auction basket ideas, but you’ll learn tips for sponsorships, marketing, games, raffles, and more. PODCAST: How many live auction items should I sell?